G A L L E R Y - Scaffardi Artists Management AGENZIA DI MANAGEMENT ARTISTI, ORGANIZZAZIONE E GESTIONE EVENTI. The Covent Garden Soloists was founded and is directed by the Creative Producer of the Royal Opera House, Vasko Vassilev. Vasko was the House’s first ever Concertmaster and he began his fruitful and success-filled tenure at the House under the then Artistic Director Bernard Haitink. A dazzling soloist with numerous international prizes, Vasko was and remains to this day a unique phenomenon with the prowess and charisma to enjoy a mixed career. He is not only concertmaster responsible for one of world’s most established orchestras, but is also a formidable soloist who is regularly feted for outshining even the House’s most distinguished guests on many occasions. In a joint recital with Vasko, the press critic found even the virtuosic skills of Cecila Bartoli wanting when matched against Vasko’s pyrotechnics. The Orchestra of the Royal Opera House was originally formed as the Covent Garden Orchestra in 1946. Under Bernard Haitink in the 1990s, the orchestra began to emerge as an outstanding instrumental ensemble in its own right, touring independently of the opera and ballet and often with Vasko Vassilev as concerto soloist. In 1994, Vasko Vassilev founded the Soloists of the Royal Opera House and as its first artistic director presented several innovative performance projects to much acclaim. His objectives were to inspire the crème de le crème of his Orchestra section leaders and the soloists of the Ballet to extend themselves beyond the House’ core ‘large group’ standard repertoire. 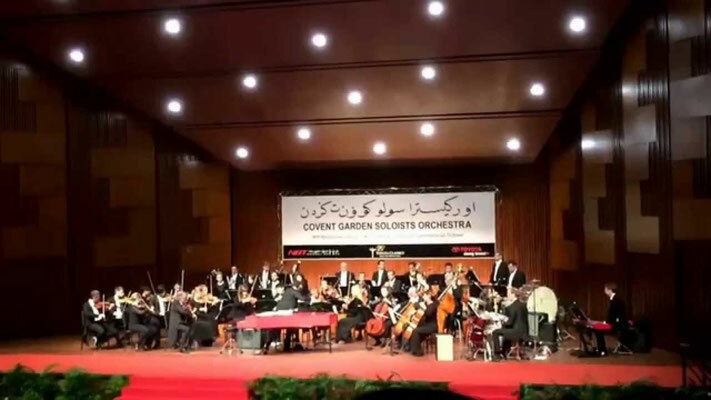 Under his direction, the Soloists collaborated with world class conductors, composers and performers, including Haitink, Domingo, Pamela Nicholson, Jaz Coleman and Paco Peña to name but a few. After 10 successful years with sold-out concerts at the Opera House, the Soloists were expanded to include other players and dancers in the performance series. worldwide. The Covent Garden Soloists is unashamedly virtuosic and is highly selective of its performers and repertoire. Since its debut in Spain, it has performed to standing ovations in many countries. The Covent Garden Soloists’ repertoire is specially constructed to demonstrate the awe-inspiring performing powers of its individual members, as well as their easy facility across a huge spectrum of musical styles. 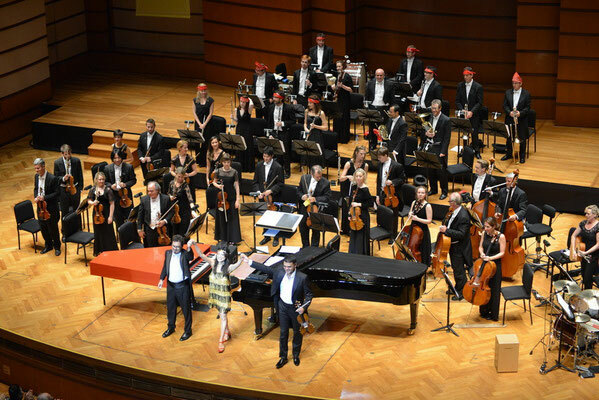 Its collaborations go beyond the realm of traditional classical repertoire and members now include not only orchestral instrumentalists and ballet dancers, but also rock guitarists, electronic musicians and ethnic performers. A Covent Garden Soloists concert is an ‘event’, where all the artistic senses are stimulated by a feast of music which extends beyond the aural. In every programme, Drama, Fashion and even Technology are also employed to create a sense of adventure, allowing audience and performers to explore new frontiers where tradition mixes with invention. 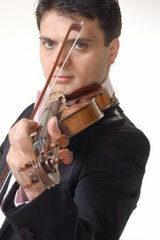 Bulgarian violinist and conductor Vasko Vassilev is Concert Master of the Orchestra of the Royal Opera House. 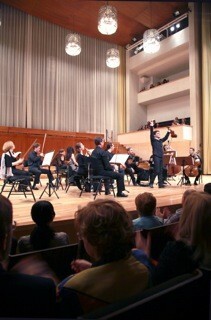 He joined the Orchestra as Concert Master in 1993, the first person to hold the position. Vassilev was born in Sofia and first began studying the violin aged five. He trained at the Moscow Conservatory, the Guildhall School of Music and Drama and the Royal College of Music. He was appointed super soloist at the Lyon Opera House aged 21 and appointed Concert Master at the Royal Opera house aged 23. In 2005 he made his British conducting debut at the Royal Albert Hall, and was appointed Creative Producer of the Royal Opera House. He is Artistic Director of Trittico, for which he produces and performs both traditional and contemporary repertory with numerous artists, groups and orchestras. He is also Artistic Director of the Soloists of Covent Garden, London Chamber Orchestra and Laureate, an orchestra he founded made up exclusively of international prize-winners.